On the Friday before last, I caught the Greyhound up to Boston. For some reason, I still have an overly romanticised notion of taking long-distance buses in America (although at a mere 4 hours 20 minutes, the NY to Boston trip doesn’t really qualify as long), which distracts me from the fact that in reality I don’t actually like travelling by bus for more than about 30 minutes at a time. All this notwithstanding, on this occasion it was the cheapest and most convenient option, and the journey passed without incident. 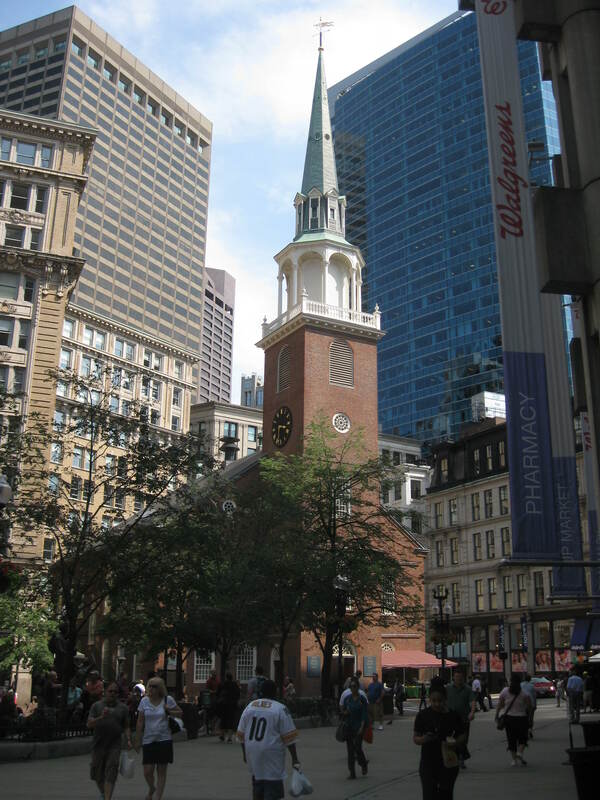 I was in Boston to attend a conference, and deliberately didn’t leave myself much time for sightseeing as I spent a week there around 11 years ago. (And yes, I know that places change, but regular readers will know I’m all about ticking off new destinations, not revisiting the same old ones!) However, I had an afternoon free, which seemed like the perfect amount of time for a stroll around the Freedom Trail, which is exactly what I did. 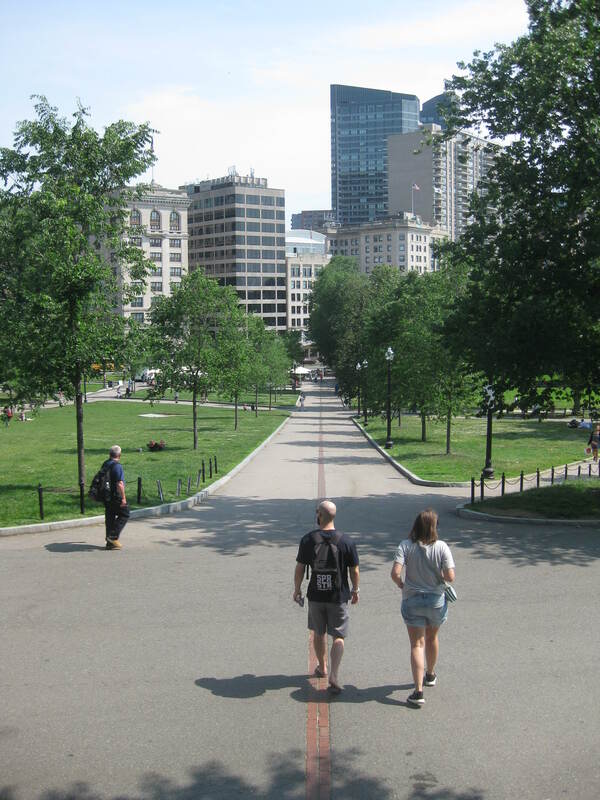 Boston Common, and the start of the trail, was just a few blocks north of my hotel (or rather hostel – this was a budget trip! ), and the afternoon was hot and sunny. I began by sipping iced coffee under the trees whilst applying copious amounts of sunscreen, before joining the rest of the map- and camera-wielding tourists thronging the streets. The trail wends its way around the historic centre of Boston, and is cleverly delineated on the pavement by a double line of bricks. This makes navigation very much easier and saves a lot of messing about with maps, I’m not sure why more cities with designated walking routes don’t follow this example. The sites and sights along the way are marked with information boards, and comprise, for the most part, churches, buildings associated with historic moments or figures, and graveyards. I must admit I didn’t spend much time actually reading about any of it, but it was extremely pleasant just to wander around enjoying it all. Later that evening I joined some friends for dinner at another Boston institution, Legal Sea Foods. Along with their sister restaurant, Legal Test Kitchen (where I dined the following night), the multiple LS restaurants serve an excellent range of seafood (in case you were wondering), along with several tasty non-fishy options too. They are also extremely good at catering for gluten- and dairy-free diets, which naturally endears them to me. All in all, I do like Boston. It feels cute and cosy, is very walkable, and the buildings in the centre are a charming mix of modern and historic. I’m not sure I feel the need to go back again any time soon, but I certainly wouldn’t turn down an opportunity. 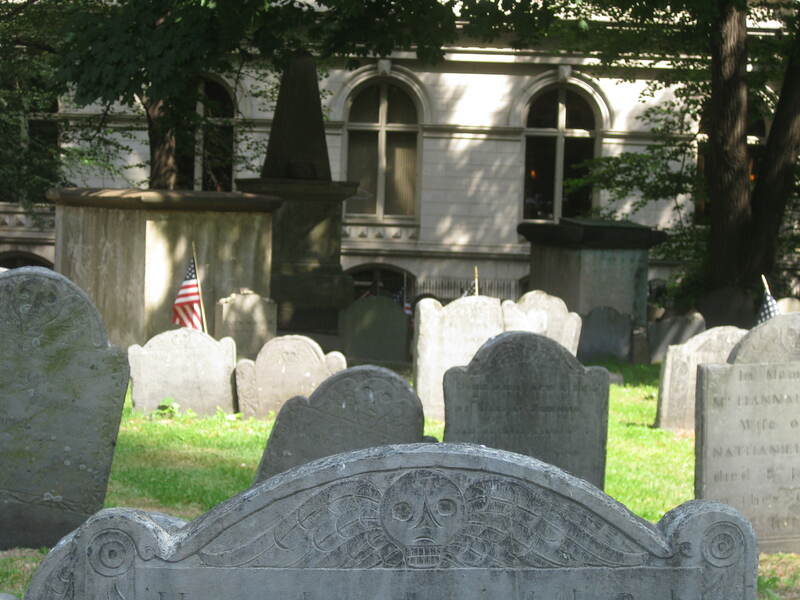 This entry was posted in Exploring, Travel and tagged Boston, Freedom Trail, Greyhound by Emma Davidson. Bookmark the permalink. Nice! Glad you enjoyed your trip. 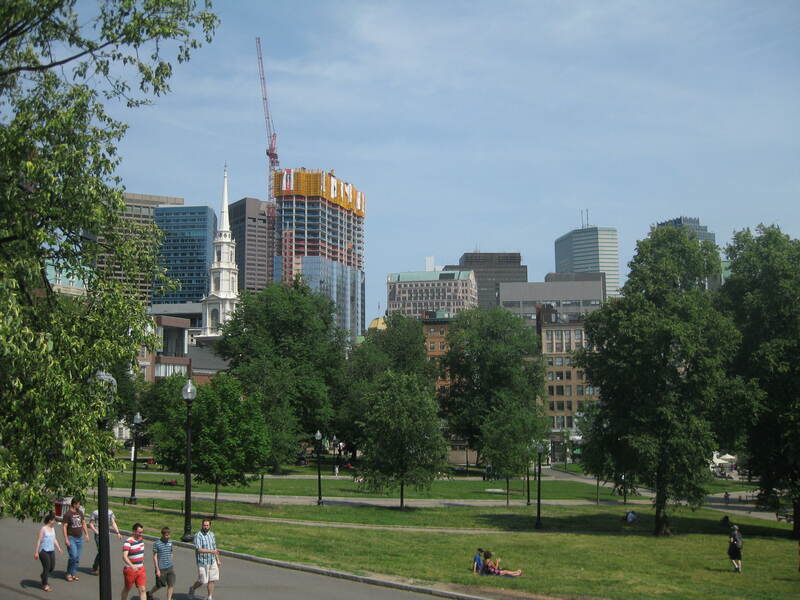 If you do ever decide to visit again, try out the North End – lots of great dining and pastry options!